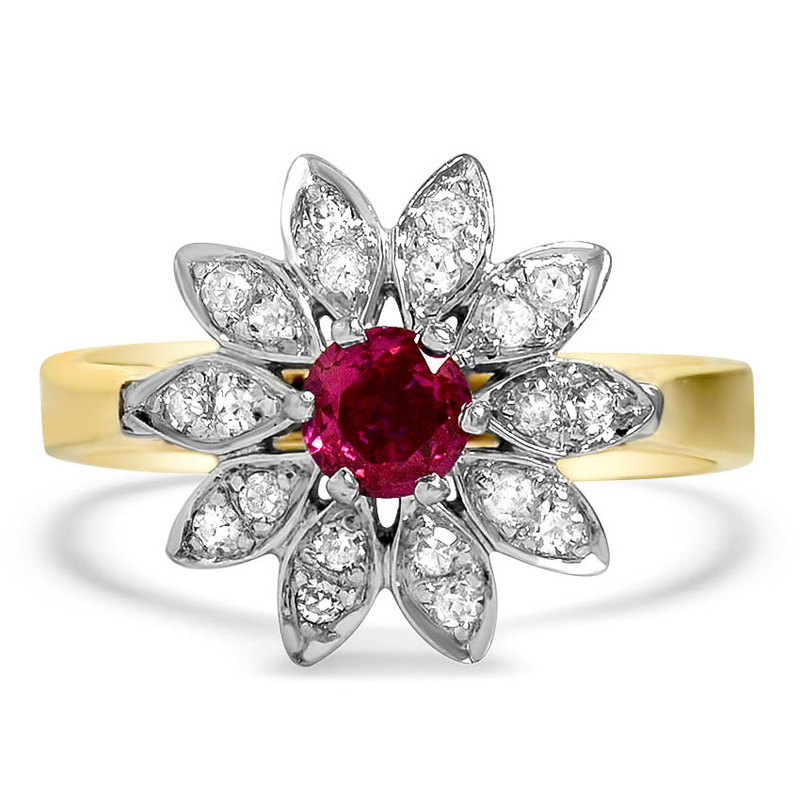 This two-toned 18k white gold, 14k yellow gold Retro-era ring features a stunning round natural ruby resting in the center of a halo of single cut diamond accents arranged in a lovely floral motif (approx. 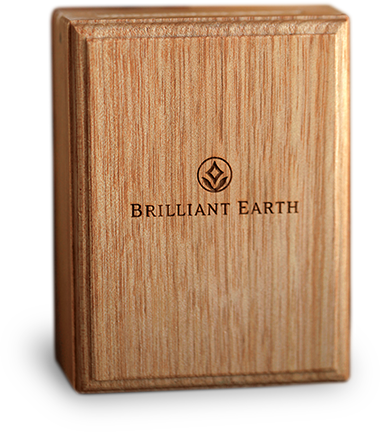 0.20 total carat weight). 4mm round natural ruby, slightly purplish red color, slightly included clarity, approx. 0.30 ct. tw. Twenty single cut diamond accents, G/H color, SI1/SI2 clarity, approx. 0.20 ct. tw.